That is to disable the optimisation that many wc implementations do for regular files. For regular files, the number of bytes in the file can be obtained without having to read the whole content of the file, but just doing a stat() system call on it and retrieve the size as stored in the inode. one wants to check how much of the data can be read (like in case of a failing hard drive). one just wants to obtain benchmarks on how fast the data can be read. one wants for the content of the file to be cached in memory. Of course, those are exceptions. In the general case, you'd rather use < file wc -c for performance reasons. maybe cat is able to deal with large (as in > 232 bytes) files, but not wc on that system (things like that have been needed for some commands on some systems in the past). maybe one wants wc (and the first cat) to run and read the whole file (and be killed at the very last minute) even if file2 can't be open for writing. maybe one wants to hide the failure (exit status) of opening or reading the content of file. Though wc < file > file2 || : would make more sense. maybe one wants to hide (from the output of lsof (list open files)) the fact that he's getting a word count from file or that he's storing a word count in file2. Both of those examples are useless uses of cat. Both are equivalent to wc < file1 > file2. There is no reason to use cat in this example, unless you are using cat file as a temporary stand-in for something that dynamically generates output. In many languages (including English) words and sentences are read from left to right, so showing the flow of data in the same way can appear more natural to the reader. sh: /etc/passw: Cannot find or open the file. This can come into play if the shell has set -e set. In the first example, this would abort the shell after wc whereas in the latter example it would continue on. Obviously there are other ways of dealing with this. Also, the performance difference of the two statements (ie with or without cat) is negligible (esp. on today's machines) and if it was important, shell is the wrong language to use. Let's suppose prog forks a new subprocess and exits, and the new subprocess writes something to its standard output and then exits. will wait for an EOF on the stdin of cat, which effectively waits for the subprocess to exit. So this is a useful use of cat. The statement contains two uses of cat. has the same meaning in all shells I have ever used. does not work in all shells. Not the answer you're looking for? Browse other questions tagged pipe io-redirection cat or ask your own question. Why is it that these two 'cat' commands result differently? 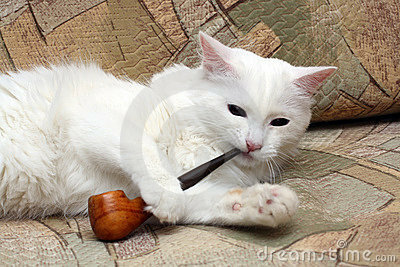 Reading a named pipe: tail or cat?